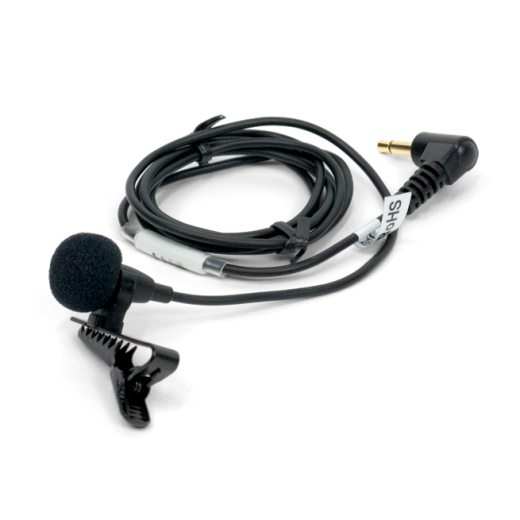 MINI LAPEL CLIP MICROPHONE Mini lapel clip microphone, 3.5mm plug, 39" cord, mono, CLP 090 microphone clip, omnidirectional condenser. 20-18 kHz. Use with PPA T27 transmitter, PFM/PPA T46 transmitter, PFM/PPA R38, R37 receivers. Replacement windscreen: WND 006. 0.05 lbs.